I went home for lunch today (because that's what you can do when you live in a small town). It's 3.3 miles door to door if anyone is counting...but I digress. Anyway, while I was home my wife, Suzann, told me that our friends of many years (especially her because she's known MB since like grade school or something and now they're old) said that they'd like to spend more time in northern Michigan. I'd like to think it's just us, but I really think it's about just how darn nice it is here. They live in Cleveland and find it worth their while to bring the whole fam damily by car when they can. They'll be up here again after the first of the year, maybe sooner, and we'll have a crazy good time like we always do. Skiing, swimming, eating at our great places here, like Red Mesa Grill or Pierson's. But most importantly, we'll be creating the memories of a lifetime that I'm learning is not that long after all. So eat, drink, and be merry and enjoy! And to all my friends, past, present and future, I look forward to next time we meet! ...is making snow! This photo, taken from several miles away shows that Boyne Mountain is making snow at night. 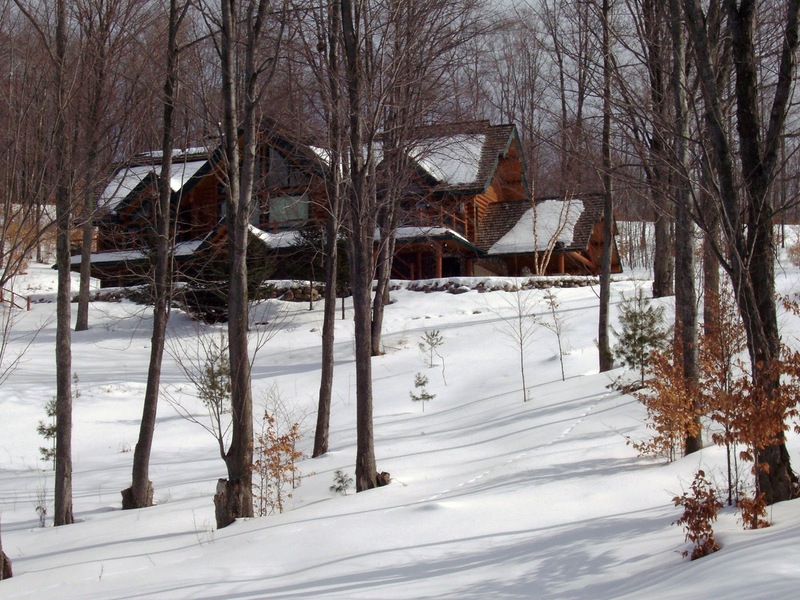 Time will only tell how soon the resort will be open for skiing and snowboarding. I'll try and keep you posted! You can check this link regularly to check on the conditions at Boyne area resorts. We look forward to seeing you up here for winter fun! I think we may be skiing sooner than later. Put the snow fence up yesterday, along with stacking a cord of wood on the porch, even changed the oil in the tractor. Had to put the snowblower on this morning but all in all a very productive couple of days. Good ole country livin...up north of course! Looks just gloomy, but out of town the snow is sticking on the ground. You can see the snow that's piled up on the Caddy. The traffic light you see is what we call "the light"...."the other" light is located one block to the west. That's one way we roll in Boyne City! Almost done, good progress yesterday! things fresh. Also, I encourage you to check out a new feature﻿﻿ I have to sign up for new listings boynecitylistingalerts.com. Finally, if you have any further questions or comments, please feel free to email me at goliveupnorth@aol.com. As I continue to work on this medium I hope to do more promotion of my many great listings. Getting ready for Christmas in the office today. We always look forward to seeing many of you at the Boyne City open house the day after Thanksgiving. We'll throw something together like we usually do to get everyone in the holiday spirit. 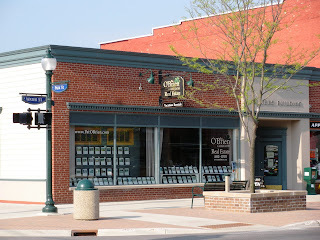 So please stop in and say hi...and while you're here, ask me about the market and whether there are any deals you should know about. If you're thinking about selling, I'd love to talk to you as well. It was another amazing fall in northern Michigan with warm temps. Now that the weather is changing for good, we look to the next season of activity--winter. 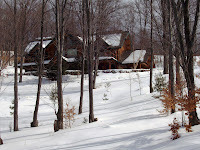 It is what you make of it, we happen to enjoy the snow as we reconnect with our skiing friends on the slopes of Boyne, ski races with the kids, and a ski weekend with the best of friends. I'd love it if you'd contact me so I can show you around and what's available for real estate. Just because it's winter, you don't have to stop looking. There are truly so many great deals and money is so cheap, if you think you can swing it--do it. While prices will most probably be low for awhile, money will not remain at these levels for long. 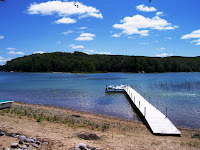 Just come up and visit northern Michigan soon, we have great restaurants, skiing, biking, etc.